Our purpose is to give your business an Advantage – one your competitors don’t have. This advantage is called Organisational Health. This kind of business is quick to act on opportunities. It is adaptive and responds positively to change. Good people want to stay and each person is focused on their contribution to the most important goals of the organisation. We have spent the last 5 years building, developing and selecting partners with the best content in the world. This means we provide you with the critical tools and guidance to build a healthy organisation, create cohesive teams and gain company wide commitment to your strategy. We can help you get the advantage of Organisational Health. We can help you build a business that is focused, fast and energised. LeadershipWorks can design a solution for your business and provide you with the critical tools and guidance to build a healthy organisation and increase your competitive advantage. Is your leadership fully engaged? 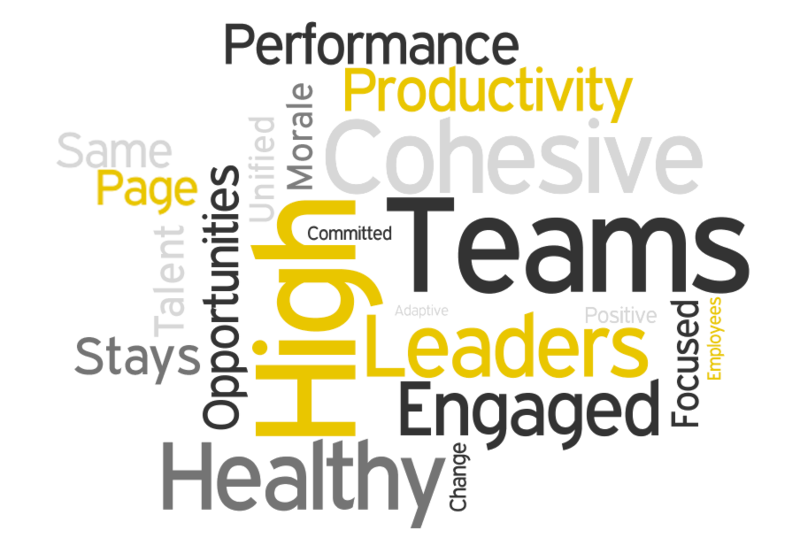 Is your senior team cohesive and fully aligned? Is everyone in your business committed to helping it to win? Send us your name, email address and company and we will contact you to set up a consultation? The first step on the Path to Organisational Health is to build a cohesive senior team and to create organisational clarity. The Advantage Senior Leadership Programme is carefully designed and led by our consultants for this purpose. Once the top team is aligned, the focus shifts to cascading that clarity throughout the entire organisation. This generally begins with a broader leadership session with the next level of leaders to build commitment to the plan. The final step is to build clarity and commitment at the frontline. Our unique approach connects the hearts and minds of your frontline teams with your organisations most important priorities. LeadershipWorks’s speciality is the toolkit we use to get results. This toolkit contains the best content in the world on teams and leadership and instructs through adventure themes and imagery, advanced facilitation methods, end to end event content design and delivery as well as keynote presentations. LeadershipWorks is a vital contributor to the development, energising and unification of staff in our business. Our sessions are meticulously planned and executed with the results bearing fruit in the marketplace for a long time thereafter. LeadershipWorks are our No 1 point of contact as we pursue the growth of human capital. The Strate Executive has benefited a great deal from the LeadershipWorks programme run by LeadershipWorks. The programme teaches universal principles that the entire Executive Team could apply and relate to. It is definitely one of the best programmes we have ever been on. The way the process is facilitated enables people to feel safe to share and to define a common goal. We thank them for their guidance and expertise and look forward to working with LeadershipWorks in the future. I would like to thank and congratulate both of you sincerely. Your professional approach, combined with your years of practical experience assisted greatly with the process that would not have been possible without you. I can also confirm that I picked up that all the EXCO members have the greatest respect for your contributions.